be considered in patients depending on the contributions of factors that are associated with abdominal pain perception in IBD (Figure 1). In addition to pharmacologic treatments—with possible options including antispasmodics—several non-pharmacologic approaches may also be useful when caring for pain in IBD. It is sometimes difficult to differentiate between inflammatory, structural, or psychological mechanisms for pain, but psychological approaches (eg, cognitive behavioral therapy or hypno-therapy) and psychosocial strategies (eg, modifying coping skills and managing stress) may be of help. Less is known about the efficacy of procedural interventions for treating abdominal pain, but research within other gastrointestinal conditions, where abdominal pain is predominant, is continuing to explore the use of acupuncture, nerve blocks, and transcutaneous electrical nerve stimulation (TENS) for pain. “These are not considered first-line treatments,” Dr. Srinath says. Srinath IL, Walter C, Newara MC, Szigethy EM. Pain management in patients with inflammatory bowel disease: insights for the clinician. Ther Adv Gastroenterol. 2012;5:339-357. Available at: http://www.ncbi.nlm.nih.gov/pmc/articles/PMC3437534/pdf/10.1177_1756283X12446158.pdf. Farrokhyar F, Marshall JK, Easterbrook B, et al. Functional gastrointestinal disorders and mood disorders in patients with inactive inflammatory bowel disease: prevalence and impact on health. Inflamm Bowel Dis. 2006;12:38-46. Szigethy E, Kenney E, Carpenter J, et al. Cognitive-behavioral therapy for adolescents with inflammatory bowel disease and subsyndromal depression. J Am Acad Child Adolesc Psychiatry. 2007;46:1290-1298. Long MD, Barnes EL, Herfarth HH, Drossman DA. Narcotic use for inflammatory bowel disease and risk factors during hospitalization. Inflamm Bowel Dis. 2012;18:869-876. Long MD, Drossman DA. Inflammatory bowel disease, irritable bowel syndrome, or what? A challenge to the functional-organic dichotomy. Am J Gastroenterol. 2010;105:1796-1798. Schirbel A, Reichert A, Roll S, et al. Impact of pain on health-related quality of life in patients with inflammatory bowel disease. World J Gastroenterol. 2010;16:3168-3177. PreviousA Purse More Contaminated Than a Toilet Seat? Really? 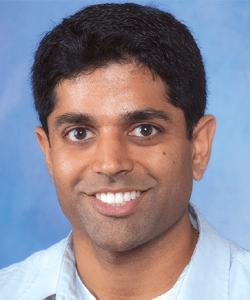 Arvind Iyengar Srinath, MD, has indicated to Physician’s Weekly that he has received grants/research aid from the Crohn’s & Colitis Foundation of America. Laparoscopy: Patients Benefit, But Do Surgeons Suffer?